The fight against prescription drug abuse in Greater Cincinnati is getting a new weapon. Prescribers and pharmacists will soon have direct and easy access to a patient’s history of prescribed controlled substance no matter where in Ohio that prescription was written and filled. 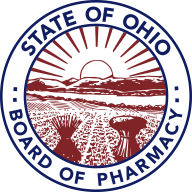 The history will be refreshed daily from the controlled substance database collected from all licensed pharmacists and physicians by the Ohio Board of Pharmacy. The Ohio Automated Rx Reporting System (OARRS) was created in 2006 to track the dispensing of controlled substances, but it hasn’t been easy for providers to get access to that information at the time a patient is treated. The Health Collaborative, a nonprofit health improvement organization in Greater Cincinnati, has joined forced with OARRS to make that information available in each patient’s electronic health record. This new system is expected to be in place in Greater Cincinnati later this year. When fully deployed, if a doctor or pharmacist is concerned that a patient is being over-prescribed by seeking care from multiple providers, an up-to-date and comprehensive history of controlled substance prescriptions will be available at the point of care, in the same record where all other patient health information is recorded and used to guide treatment decisions. The Health Collaborative’s technology division, HealthBridge, manages the flow of 15-million clinical results each month from testing and diagnostic facilities and treatment centers across the region to more than 900 medical offices and 50 hospitals. This new affiliation with OARRS will enhance the patient information available to medical professionals when prescribing and filling controlled substances. “Integrating the OARRS data will allow healthcare providers in our region to have the right information, in the right place, to more quickly recognize and care for prescription drug abuse,” said Jason W. Buckner, SVP, Informatics at The Health Collaborative. Access to the information in OARRS can also be used to help prevent negative drug interactions. For instance if a newly prescribed medication, controlled or otherwise, might be dangerous when combined with a previously prescribed controlled substance, providers would be able to check the history to assure safety. “OARRS is a powerful tool in Ohio’s fight against prescription drug abuse and we are pleased that The Health Collaborative will be providing direct access to the database for clinicians in the Greater Cincinnati region,” said Steven W. Schierholt, Esq., Executive Director of the State of Ohio Board of Pharmacy.